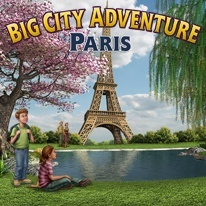 Explore Paris in the classic Big City Adventure way! -Visit romantic Paris in the latest chapter of the hit classic hidden object series. -119 rounds of fun: 60 rounds of treasure hunting, plus an additional 59 rounds of exciting mini-games that guide you to your next destination. -Play 10 unique mini-games along the way, including Match-2, Mahjong, Jigsaw, Word Search, and more.